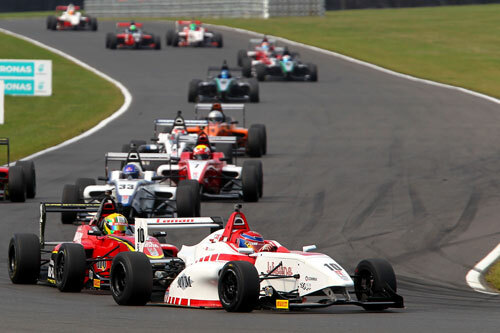 It was a case of what could have been in rounds 16,17 and 18 of Duo BRDC Formula 4 Championship, as Jack Bartholomew, Chris Mealin and Rodrigo Fonseca battled hard at Snetterton. Bartholomew came away with biggest haul of points, improving with every race through the weekend and managing to steer clear of trouble. 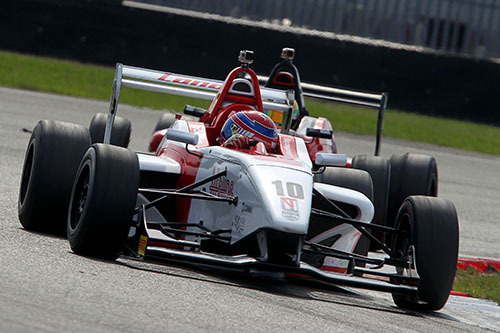 A 12th in race one was followed up with an eighth in race two, along with the fourth-fastest lap of the weekend. That put him fourth on the grid for race three, and Bartholomew battled to sixth following race-long pressure from a gaggle of cars. Mealin, though, was denied his third win of the season in race two. Having powered to the front from ninth on the grid, a coming together with Will Palmer while defending that lead dropped him to second. The stewards sided with Palmer after the race, and excluded Mealin from the results. He left Snetterton with a ninth and an eighth, and just outside the top six in the points table. Fonseca was another who was denied a podium finish, also in race two, when he was removed from the reckoning after being collected from behind having started in the front-row. The non-finish split two challenging races, resulting in a seventh-place in race one following more contact and a 12th in race three.